Highlight: Earnouts are difficult legal clauses to manage and can often lead to misunderstanding and difficulty realizing them. Here is a practical example of some of the pitfalls that sellers should watch for. Earnout clauses are becoming more and more common in purchase and sale agreements, especially in a volatile economy or where the target company’s earnings have fluctuated over past years. There are many risks associated with earnouts and if their provisions are not properly drafted in the definitive agreement, then the Seller stands a good chance of getting burned. Below is an example of where a Seller can get burned on an earnout. Mr. A buys all of the shares in OPCO from Mr. B. Contained in the share purchase agreement is a very basic earnout clause which states, in so many words, that if OPCO meets certain revenue targets during the earnout period, then Mr. B will be entitled to an earnout amount from Mr. A. The earnout period in this example is one year. As with most earnouts, the revenue target was an ambitious number based largely on a three-year average of historical revenues. In order to meet this target, OPCO would need to run lean and have a solid year of earnings. Mr. A, like many entrepreneurs, has big plans for OPCO. Coming from a sales background, he sees tremendous opportunities for growth in Division B by selling more goods to OPCO’s existing customer base and new customers alike – he sees this as a long-term growth strategy. As with most small businesses, time and resources are not unlimited and to expend more time and resources in one division of a business would necessitate less time and resources in another division. So immediately upon acquiring ownership of OPCO, Mr. A implements his marketing plan for Division B growth and allocates more resources and personnel to Division B, pulling these additional resources and personnel from the low margin portion of Division A. This is an easy decision for Mr. A because, although the low margin portion of Division A contributed to 20 percent of OPCO’s revenues, it also consumed more than 30 percent of the company’s resources and personnel. 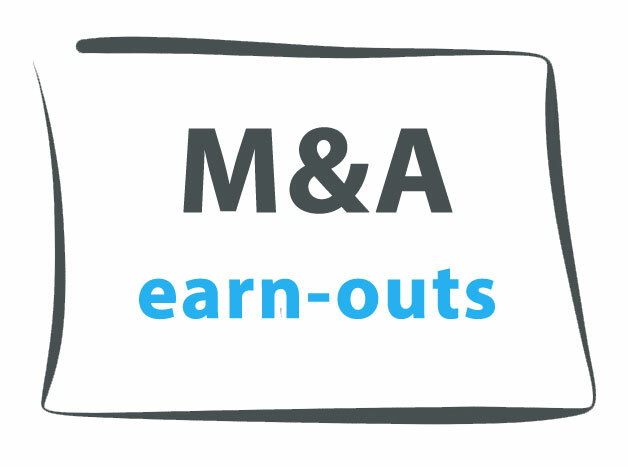 During the earnout period, Mr. A is successful at growing Division B revenues by $50,000. In contrast, because the resources required to support this growth were taken from Division A, it suffers a $100,000 decline in revenues – the net result of which is a $50,000 decline in overall revenues during the earnout period, OPCO not meeting its revenue target, and Mr. B therefore not receiving his earnout amount. In hindsight, it was quite foreseeable that OPCO would have met its revenue target had Mr. A operated OPCO the way Mr. B had operated it historically and not taken a gamble on Division B.
Mr. A’s gamble did not pay off immediately, at least not within the earnout period. While OPCO may experience substantial Division B growth in the following years as a result of Mr. A’s efforts, none of this is relevant to Mr. B and he paid the price of Mr. A’s long term growth strategy. The first option is to include more comprehensive earnout language in the share purchase agreement and impose post-closing covenants on the Buyer. These post-closing covenants would seek to restrict the way in which the Buyer can operate the business during the earnout period. Restricting the Buyer from conducting the business in such a manner that it is reasonably foreseeable that the business could be negatively impacted in a material way (such as shifting resources in the manner set out in the above example). Restricting the Buyer from permitting any material change to the business or its financial or accounting methods (such as by combining financial reporting with an affiliate company). Restricting the Buyer’s ability to strip assets or divisions out of OPCO (such as by transferring the operations of one division to an affiliate company). Restricting the Buyer’s ability to terminate the employment of any key employees. Requiring the Buyer to continue to operate the business in the ordinary course of business. Draft the earnout as “reverse earnout”. In contrast to a regular earnout where the payment of the earnout amount is deferred to the end of the earnout period, with a reverse earnout the amount is paid to the Seller on closing and then adjusted downward if OPCO doesn’t meet its revenue targets. The benefit of a reverse earnout is that it places the burden on the Buyer to pursue the Seller for a refund of the earnout amount. If the Seller has any legitimate defenses to this, such as the Buyer breaching its post-closing earnout covenants, it will make it the Buyer’s responsibility to take further steps (e.g. court action) to recover this amount. Depending on how comprehensively the provisions are drafted, a standalone earnout agreement might better serve your purposes. As you can see, there are ways to protect yourself if you are a Seller that is subject to an earnout part of your selling price. Retaining legal counsel that is experienced in these types of transactions will benefit you tremendously by ensuring that your earnout language protects you as much as possible from the scenario above and the many other scenarios where the Buyer intentionally or inadvertently fails to meet its revenue targets.